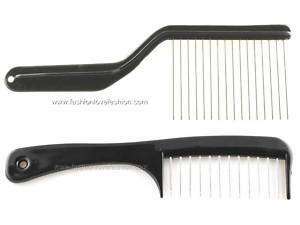 I love using a metal pic or comb for detangling my hair while dry. It doesn’t break, pull or put stress on my hair like a plastic wide-tooth comb when detangling. A metal pic was the comb of choice for natural hair or afros in the 70’s. I just wanted to share this information with you. Try it, it could help ease your detangling sessions before shampooing your hair. This is a tasty and exotic salad to try if you haven’t tried Middle Eastern food. I love the flavor of the mint and olive oil. It’s absolutely wonderful. Try it and see for yourself, you will not be disappointed. Put bulgar in a medium bowl and sprinkle with 1/2 tsp. salt. Add 1 1/2 cups boiling water, cover, and let sit 20 minutes. Meanwhile, whirl olive oil, lemon juice, and garlic in a blender (or, pulse garlic in a food processor until minced, then add oil and juice). Add mint leaves, remaining 1/2 tsp. salt, and pepper. Whirl until mint leaves are minced into the dressing and the dressing is more or less smooth. Taste and adjust salt and pepper. Chop parsley leaves. Core, seed, and chop tomatoes. Peel, seed, and chop cucumber. Drain bulgar, if necessary. Pour dressing over the bulgar and toss to combine well. Add parsley and toss to combine well. Add tomatoes and cucumber and stir to combine. Serve immediately or cover and chill until ready to serve, up to overnight. 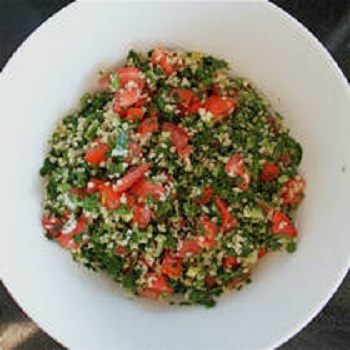 Tabouli is an excellent tasty salad if you want to try something differnt and exotic. LAVENDER adds a pleasant but not too flowery contrast to the sweetness of mint in this herbal tea that is refreshing hot or cold. There are teas for all occasions: for morning, afternoon, and bedtime, teas to soothe, and teas to stimulate. In recent years, our appreciation of tea has expanded to include herbal tisanes (some of which are centuries old) and a wide array of green teas, barks, and spices. Taking a break for tea or making a pot to share with a companion is somehow very relaxing. 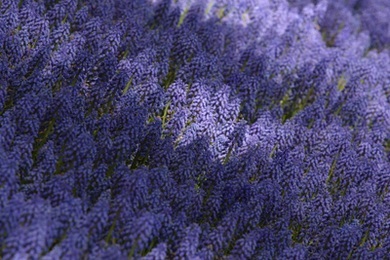 In a teapot, combine the lavender flowers and mint. Pour boiling water over the mixture; steep 5 minutes. Yield: 1 cup. Three ways to Make Iced Tea Brewed Tea. Make tea approximately double strength and steep only 5 minutes. Pour into a pitcher over an equal amount of ice. (If you are using a glass pitcher, let the tea cool before pouring it in.) If you sweeten the tea while it is hot, you’ll need only half as much sugar. Refrigerator Tea.Follow the procedure for sun tea, except let the mixture brew in the refrigerator overnight. This method has two advantages: When it’s done, it’s already cold, and no matter how long it sits, it doesn’t get cloudy. Sun Tea. 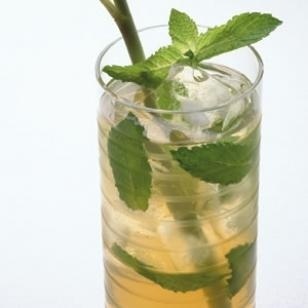 In a glass jar or pitcher, place 1 teaspoon of loose tea or 1 tea bag per pint or tap water (with sugar, if you wish). Cover and set in the sun for 1 hour or so. Timing is not critical – because the water doesn’t boil, the tea will not get bitter. Combine mint leaves, tea bags, honey and boiling water. Let steep for 5 minutes; remove tea bags. Refrigerate until chilled. Divide among 4 large ice-filled glasses. Add 1/2 cup sake to each glass. Garnish with a stalk of lemongrass. Non-alcoholic variation: Omit the sake. Place sun-dried tomatoes in a small saucepan and cover with water. Bring to a boil. Remove from heat and let soak until softened, about 30 minutes. Drain and finely chop; set aside. Meanwhile, bring broth (or water) to a boil in a medium saucepan. Stir in millet and salt; return to a boil. Reduce heat to low, cover and simmer until the millet is tender and liquid is absorbed, 25 to 30 minutes. Let stand, covered, for 10 minutes. Fluff with a fork; transfer to a plate to cool to room temperature, about 20 minutes. While the millet cooks, heat 2 teaspoons oil in a large nonstick skillet over medium heat. Add onion and cook, stirring often, until softened and light brown, 5 to 7 minutes. Gradually stir in spinach; cover and cook, stirring, until the spinach is wilted, 30 to 60 seconds. Add garlic and cook, stirring, until fragrant, about 1 minute more. Transfer to a plate; let cool for about 10 minutes. Prepare Olive Ketchup, if using. Place the millet in a food processor and pulse to mix lightly. Add the spinach mixture and pulse until coarsely chopped. Transfer to a large bowl; stir in the feta, basil, breadcrumbs, pepper and the reserved sun-dried tomatoes; mix well. 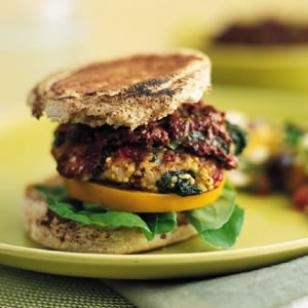 With dampened hands, form the mixture into seven 1/2-inch-thick patties, using about 1/2 cup for each. Using 2 teaspoons oil per batch, cook 3 to 4 patties at a time in a large nonstick skillet over medium heat until browned and heated through, about 4 minutes per side. Toast English muffins (or buns). Garnish the burgers with arugula, tomatoes and Olive Ketchup, if desired. Two- strand twist styles are excellent for workouts. This style will survive the most intensive exercise routines. If you aren’t comfortable with sweaty hair, pre-poo hair with inexpensive conditioner and let hair air dry. SIMPLE. Afro- puffs are great with a nice headband. Flat twists can be worn for a week before shampooing. Braids with extensions added will last for 6-8 weeks. Depending how much you sweat during exercise, cleanse your scalp with sea breeze and oil afterwards. Consider getting LOCS. Very low maintenance. Fake ponytails added to your hair. The hair supply stores have different textures that will blend with your hair texture. Cornrows will lasts for a week or more if synthetic hair is is added to your hair. 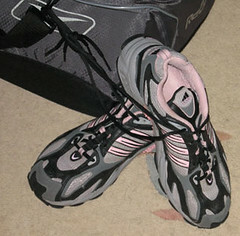 NO EXCUSES FOR GETTING YOUR WORKOUT ON IF YOU ARE ROCKING NATURAL HAIR LADIES!!! Have you notice changes in your hair after the age of forty? Well guess what, you are not imaging things. 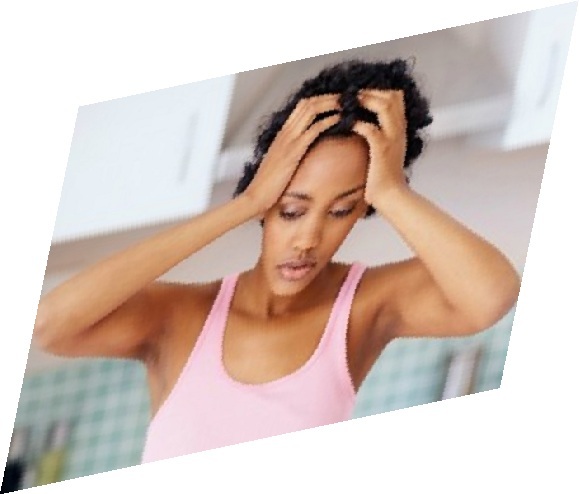 Your hormones fluctuating and changing is the culprit.Hair gets dryer and thinner as we get older. And your GENES have a role in the changes too.There are some simple things you can do to slow the process down. Add foods that are omega 3 rich such as: fish , salmon flax seeds, walnuts, sardines, tuna, and tofu. There are many more foods that you can add to this list by doing a little research. 4. STOP using direct heat on your hair ( blow dryers, hot irons, and straightening combs). 5. Use a daily moisturizer and a sealant to lock moisture into hair. 6. 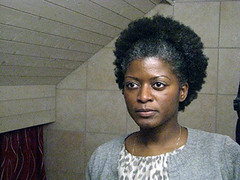 If you are relaxing your hair, think about going natural. Try these SIMPLE tips to slow down aging process. Sometimes no matter what we try, nature and genetics will prevail. Mothers can become severely stressed with their newborn after being released from the hospital.The extra help that you received from the nurses end as well. Develop a plan before going to the hospital on how you are going to deal with stressful situations, such as dealing with a relentless crying newborn with colic or not producing enough milk to satisfy your baby’s hunger. If a mother doesn’t get help or her frustrations under control, this can lead to intense anxieties that will manifest physically and mentally . Asking for help is the first thing you need to do, because you don’t want to become overwhelmed and unable to take care of your baby. Husbands are great helpers especially during night feedings and changing diapers. Mothers aren’t suppose to be “SUPERWOMAN.” Taking care of yourself first is mandatory.